Fee: £125 10% Early Bird discount available until 5th May. The relationship between a writer and a script editor is one of the key relationships in a successful production. A good script editor can climb inside of a story and make it even better - leading to the best possible final draft. The role of the script editor within the production team. How to develop a strong relationship with your writer, and how to win their trust. How to interpret the views of the producer, executive producer, commissioner and director, and understand the impact they'll have on your writer. Giving written and verbal feedback and presenting notes. How to make sure you know your script inside out, in all its drafts. 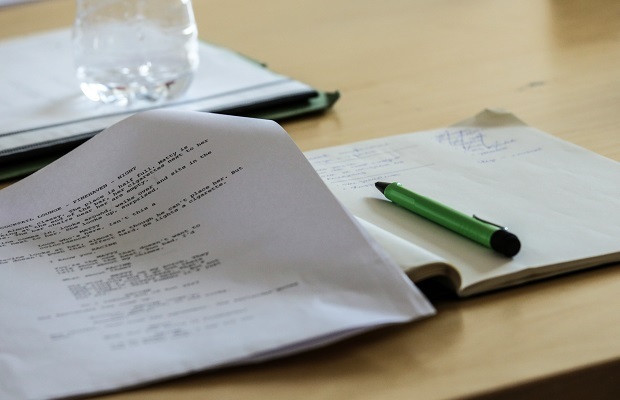 What makes a writer want to hold on to a script editor and work with them on future projects. Writing programme summaries, episode outlines and character thumbnails. With a wide range of practical exercises, recorded and live contributions from experienced writers and script editors offering advice at every turn, this one day course will hone your editing skills, build your confidence, and arm you with a range of techniques which will work for you. Lucy has developed and produced scripted comedy-drama for ITV1, BBC3, BBC4, Channel 4 and Sky, and has over 20 years experience as an award-winning TV and radio producer. She has developed and produced scripts and adaptations with writers as diverse as Jonathan Coe, Holly Walsh, Kat Sommers, Nick Hornby, John Hegley, Julie Myerson, Derren Litten, David Quantick, Lenny Henry, Jonny Sweet, John O'Farrell and the late great David Nobbs.